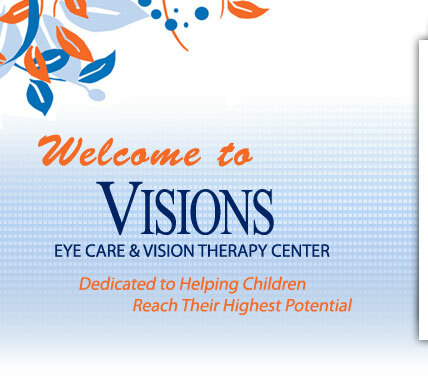 Welcome to Visions Eye Care and Vision Therapy Center. We believe that your eyesight is a precious gift and we are dedicated to providing you the best technology and care possible to help you maintain and improve your vision. Many of us take for granted our ability to see the world around us. We use it every moment, at home, at work, in school. 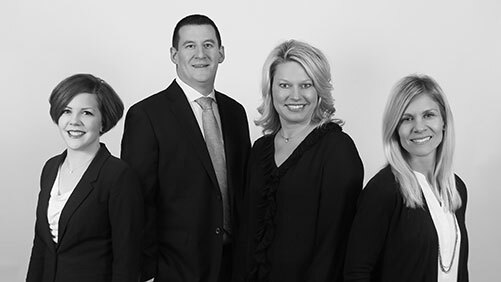 The optometrists & staff here at Visions Eye Care and Vision Therapy Center, believe you deserve the best eyesight possible to fully enjoy your life. 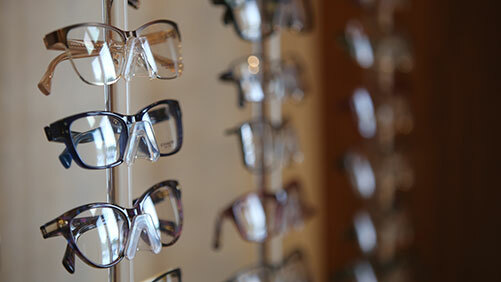 We are committed to excellence, both in our technology to bring you the best vision care as well as customer service. We are guided by the highest of ethical standards of our profession, and our expert doctors and staff all share the same goal of healthy, clear vision for life! Our services range from comprehensive routine eye examinations, providing an excellent range of eyeglass frames and contact lenses, co-management of surgery, treatment of ocular diseases, and vision therapy. We see people of all ages, from infants to adults. If you have a vision problem that is interfering with reading and learning or sports performance, you need to visit our Vision Therapy Center. Some visual problems can not be resolved with glasses, contact lenses or surgery. We also provide visual rehabilitation for patients who have had vision problems as a result of a head injury, as well as patients with special needs, such as developmental delays. We pride ourselves on our friendly, professional staff and comfortable atmosphere at Visions Eye Care and Vision Therapy Center. The excellent results you receive will make you glad you came to us. Your best vision possible is our goal for you. 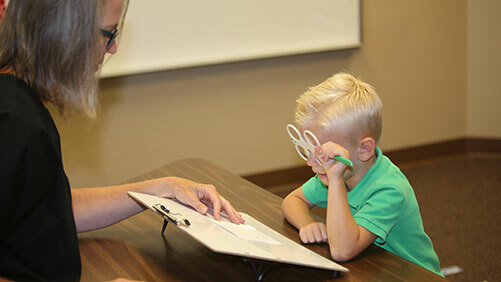 At Visions Eye Care and Vision Therapy Center, our optometrists provide comprehensive vision examinations using state-of-the-art equipment such as SightSync® & neurolens® for diagnosing & treating computer vision syndrome. As a result, many vision problems can be detected, often even before there are any symptoms. For certain eye diseases, this can be crucial toward successfully maintaining your precious gift of sight. Our eye doctors provide excellent routine vision care, from pinpointing your exact prescription for crisp, clear vision, including multifocal prescriptions, to offering a wide array of fashion eyewear. If you prefer perfect vision without wearing glasses, we can also fit you with the most comfortable contact lenses available on the market, including bifocal, multifocal, disposable (monthly and daily), and astigmatism lenses. 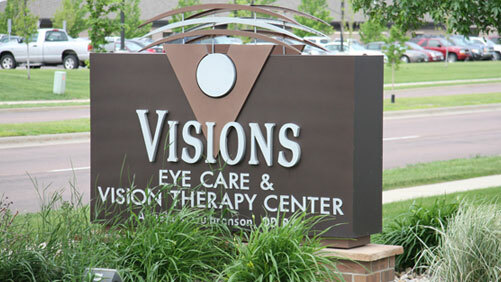 Visions Eye Care & Vision Therapy Center is rated 4.8 out of 5 based on 737 reviews from around the Web. Doctors are very professional and personable. The new facility is beautiful. Everyone is friendly from the moment you walk in. The staff at Visions are compassionate and knowledgable. We have completed therapy and now just need to do annual checkups. They are very pleasant, accommodating, thorough, work really well with child and parent, and have a fantastic work space for therapy. Everyone was very friendly and patient. My daughter struggles with new people and she even enjoyed being there. I would recommend this place to everyone. Thanks to everyone at visions for making my experience a great one! The staff at the desk and the eye doctors are so friendly, helpful, great attitude, and through in answering questions and providing service. Great experience! I saw Dr. Ryan Ackerman and he was very helpful, professional and made everything easy to understand. Very helpful. Jason helped me get exactly what I needed even if it wasn’t available at his store. I was very nervous when I got there (eye issues make me very nervous) but everyone was very kind and helped me feel at ease!! Dr. Ashley is always so friendly, considerate and gives a thorough examination. Jason did a great helping me with new lenses and frames and navigating through our insurance options. I had the best time at the eye doctor! My doctor was so great at making it fun and explaining everything really well! We live in Sioux City so the drive up and back is going to be a commitment but so worth it for the results. Excellent care. Thorough exam and everything explained to my understanding. Concern for my questions and willing to provide answers. No pressure to buy glasses, but when I chose to, very helpful. We have been treated SO well here and I am very confident in the care we’ve received. They are extremely patient and thorough. 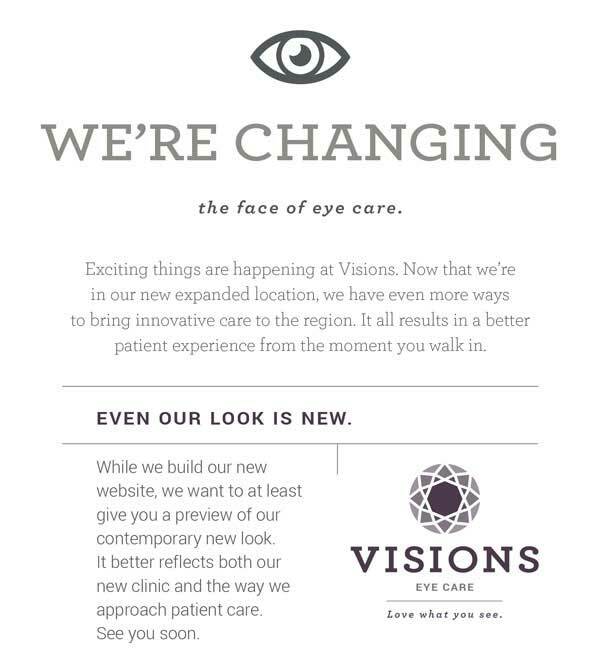 Visions eye care is very professional. All of the staff is friendly and willing to help. Top notch service. The office staff was so helpful and kind. I really appreciated how they didn't make us rush out or anything. I would highly recommend them. Same day appointment with Dr Ryan, all staff pleasant and professional. In and out in an hour for annual eye exam. Always feel well taken care of. All my questions are answered. A wonderful selection of frames. Very friendly and professional doctor and staff. I found all the staff to be very friendly and easy to talk to. 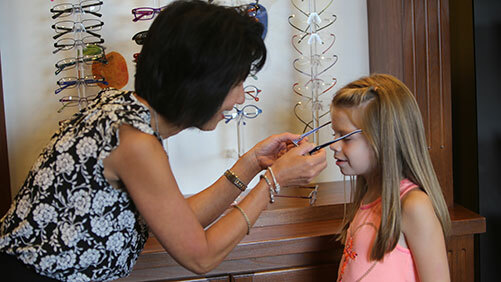 Dr Gentrup made my kids feel comfortable before, during and after their eye appointments. I would highly recommend Visions Therapy Center. 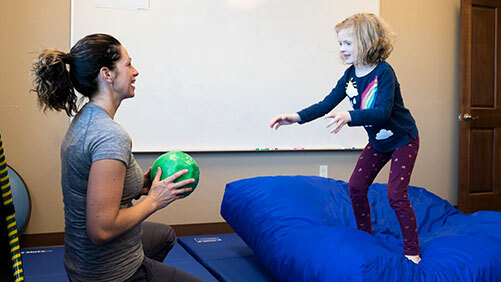 We originally were seeing Kristin the Occupational Therapist when she noticed something not right about my daughter's vision. Kristin consulted with Dr. Gentrup on her findings and it was decided that my daughter needed to be seen by Dr. Gentrup to evaluate her vision for a treatment plan. I felt comfortable and informed during the whole process. All staff were easy to talk to and friendly. I highly recommend Visions Therapy Center. Staff was very knowledgeable in how to determine what challenges my son was having. I would highly recommend! This business is professional, efficient, friendly, and accommodating. I am confident that my exam was comprehensive and that I received practical and appropriate advice. The staff was very welcoming and friendly as well. We have been bringing my daughter here for years and love Dr. Gentrup! We appreciate all she has done for my daughter's vision needs. Welcoming staff, appointment was on time and I had lots of choices in eyewear. Would definitely recommend Dr Hupke and Visions to all my friends and family. I have always been welcomed with kindness, respect and professionalism by the front desk. Dr. Hupke's assistant was kind and well trained on the equipment she used to check my eyes before I saw Dr. Hupke. My husband and I have been patients of Dr. Hupke for about 8 years now. We have been very impressed since the first appointment by her knowledge and professionalism. She answers all of our questions and concerns and suggests new products if she believes they could help us see better or be more comfortable. I believe she truly cares about her patients, and we very much appreciate being treated this way. Exceptional service. Hospitality at its finest. Professional care at its best. Make your appointment today! Very impressed with everyone we came in contact with. Very professional. Any questions we had were answered. We were treated exceptionally well. I am looking forward to receiving our new glasses. My visits with Dr Gentrup are always pleasant. Ashley is very down to earth and takes time to get to know you and explains what is happening so one can understand. She does not rush through your visits and is very fun to be around. The other ladies that do the test are also very nice. I enjoying my visits there and would recommend this clinic to anyone looking for a good caring eye doctor!